Getting the kiddos, especially my middle girl, to eat veggies is an issue. 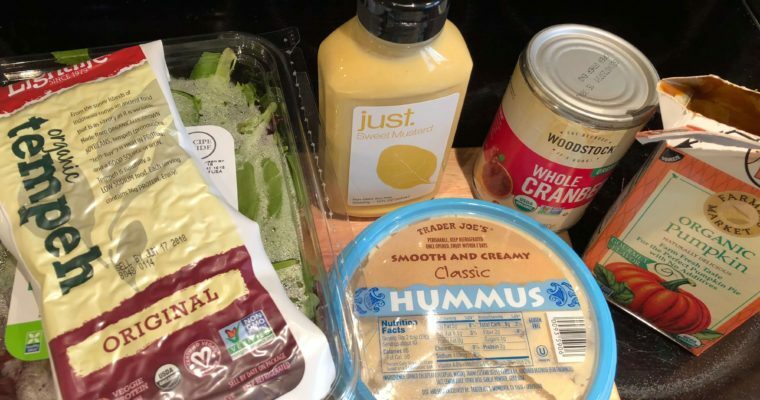 While we have found that there’s some veggies she will eat (raw broccoli and carrots), for the most part it’s been an on-going struggle to get her to try new (and healthy) things! 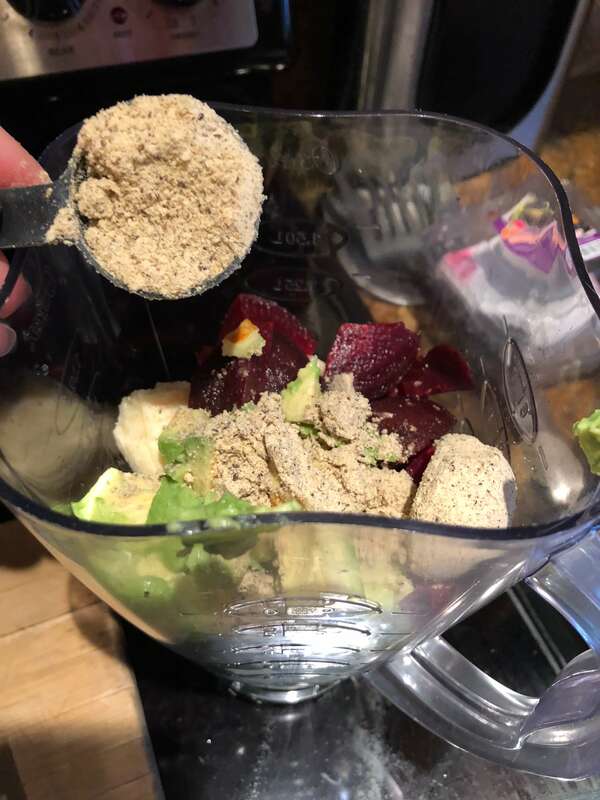 The one way that I’ve been able to get her to have a good dose of veggies is to include them (a.k.a sneak) them into her morning smoothies. While I don’t love the idea of sneaking veggies, we’ve gotten to the point where it’s a necessity, which, hopefully, she will grow out of at some point. Until then, I’m always looking for new recipes and ideas to give her the boost that she needs. 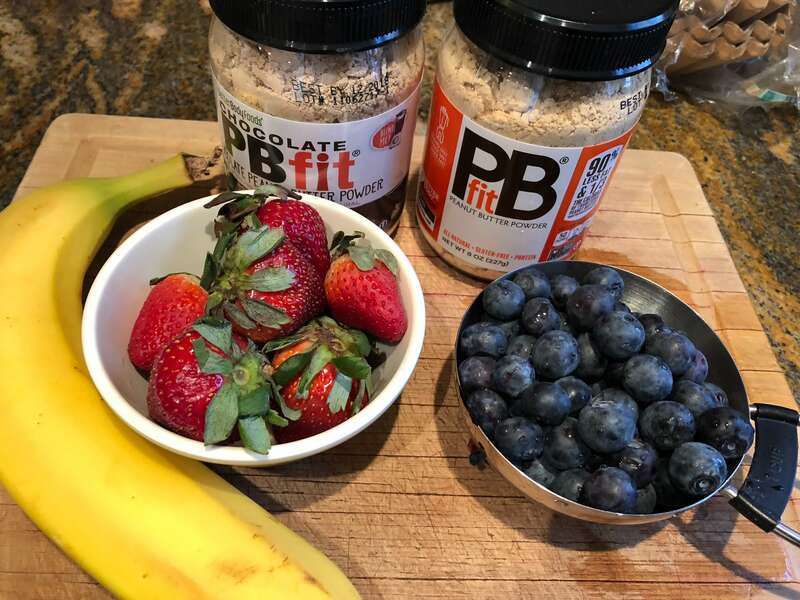 And I just found the perfect addition that’s been seriously amping up our smoothie game with the Better Body Foods LIVfit Organic Superfood Blend and the Better Body Foods PBfit protein. Both have some amazing benefits and have opened up a variety of new combinations in our smoothies. 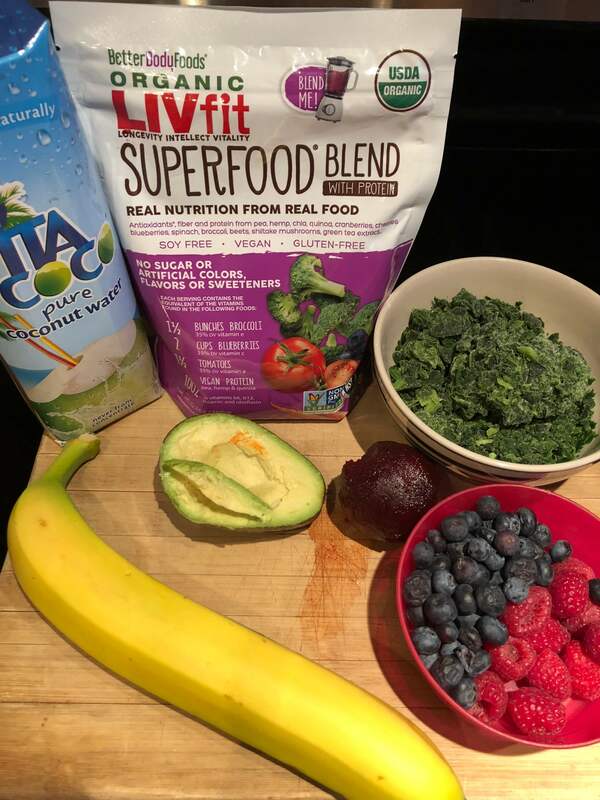 Better Body Foods LIVfit Organic Superfood Blend is one of my favorites that features a combination of antioxidants, fiber and protein from pea, hemp, chia, quinoa, cranberries, cherries, blueberries, spinach, broccoli, beets, shiitake mushrooms, and green tea extract. 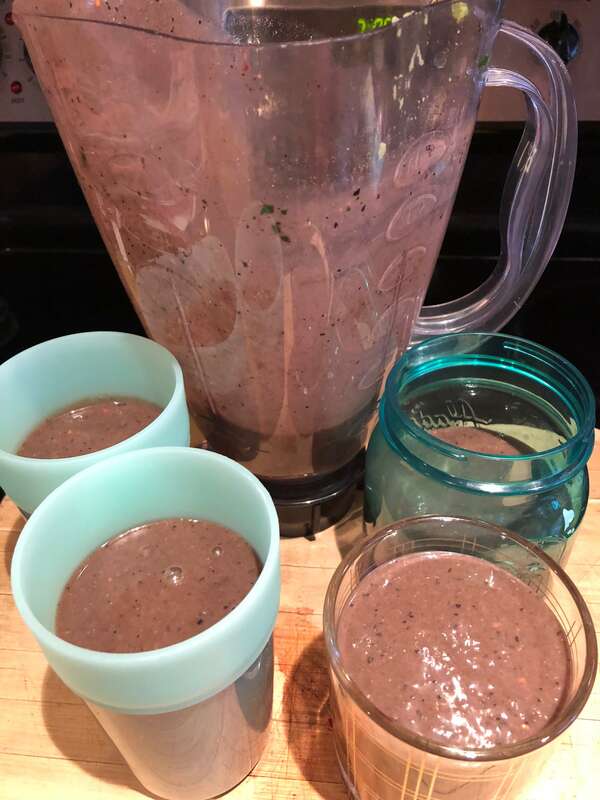 While I mainly add this soy-free, vegan, and gluten-free blend to our morning smoothies (recipe below), you can also add the powder to juice, cereal, yogurt, pancakes and more for a nutritional boost. 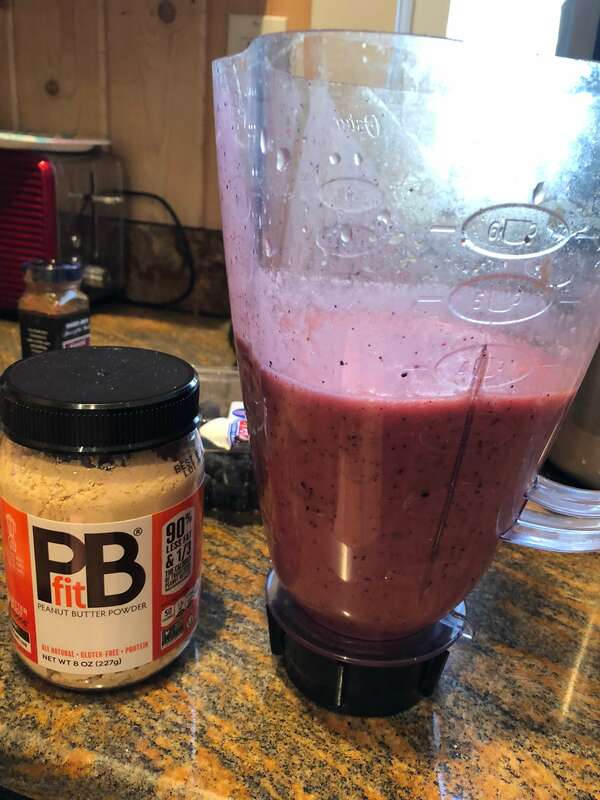 Another new powder, we’ve all been loving is PBfit, a powdered peanut butter that’s comes in original or chocolate flavors. Made from real roasted, pressed peanuts, a dash of organic coconut palm sugar and salt, PBfit is a great way to enjoy natural peanut butter with 90% less fat and 1/3 the calories of traditional peanut butter. It was amazing in our morning strawberry/banana/berry smoothies that can also be mixed into breads, pancakes or waffles. Check out more of about these easy, quick, and healthy smoothie recipes below featuring Better Body Foods. 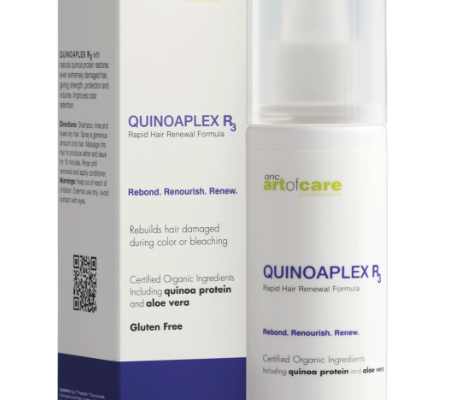 Add all of the ingredients together in a blend and mix into liquified. What’s your go-to morning smoothie? 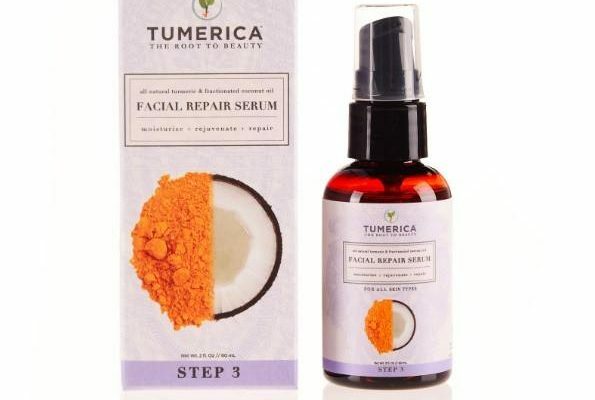 I was provided with samples for this review. All opinions, as always, are my own.